The authors give an overview about the research progresses done in the latest years to enhance ranges of microwave backscattering communications with RFIDs exploiting the tunneling effect of tunnel diodes. 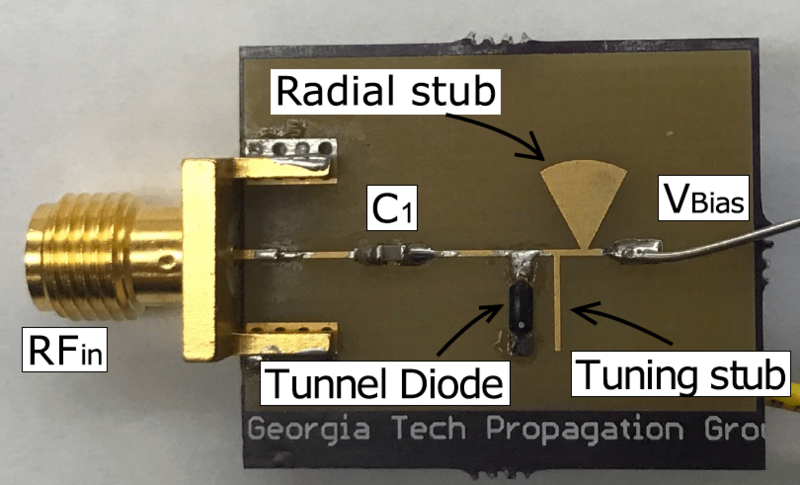 The first prototype of a Tunneling RFID Tag built using a tunnel diode outperformed semi-passive tags by at least a factor of 5 in range. Tests on the 5.8 GHz backscattering link reached 1.5 km of ranges and demonstrated that a DC power of only 20.4 μW and 2.9[pJ/bit] are required to operate the Tunneling Tag.